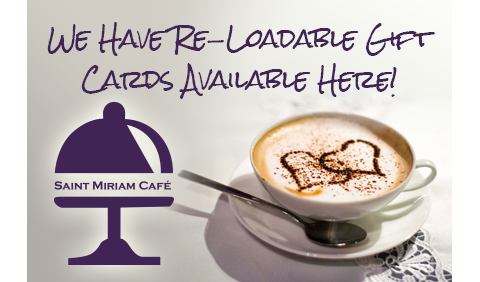 Saint Miriam is a Franciscan, Old Catholic Parish. We are led by priests who are Conventual Franciscans, or Friars. Within the Universal Catholic Church there is a rich variety of spiritualities. We speak, for instance, of “Benedictine spirituality”, “Dominican spirituality”, or “Franciscan spirituality”, as examples. Franciscan spirituality finds itself drawn from Judeo-Christian, Catholic, and Biblical traditions worldwide. It is also rooted in the deep Trinitarian theology of our Holy Catholic Church. The humility and poverty of the Incarnation of Jesus is the model for the Franciscan way of life as an imitation of our Christ, is rooted in theology, and finds it approach as an unconditional welcome to all of God’s creation. The fruit we bear is a greater perfection of love to all whom we meet in our journey as Friars with a particular Franciscan emphasis on peace and joy! Welcome home! The mission of the Conventual Franciscans, and our particular Order of Saint Francis, Old Catholic (OSFoc), is to give witness to the Gospel of our Lord, Jesus Christ, through an intentional and dedicated manner of living our life together as a community of Friars. We follow St. Francis of Assisi by living the out the Gospel through prayer, fraternity, and ministry. Through fraternity as a community we center our lives on Jesus, witnessing a joyful presence of hope and salvation to all in the world, especially to the poor (in all aspects of poverty). By living the Gospel in our community, we preach through our very lives and attempt to repair the brokenness found within the house of God, the Church. We do not claim to be holy or perfect, just dedicated to making life better and praying for peace. Our founder, St. Francis, was given a mission from God while praying before the San Damiano Cross. Jesus, speaking from the Cross, told Francis to, “Go and repair my house which, as you see, is falling into ruin.” Francis, responding to the Lord, and begs for stones to repair the ruined Chapel of San Damiano. Francis fervently sought to know and respond to Jesus. Soon the Lord gave Francis more brothers to join him in his mission to ‘repair the Church’ through passionately knowing Jesus and living His message, the Gospel. He learned that it was not just the physicality of the Church that needed repair, but the people, too. The profound, yet simple insight of St. Francis, and the friars that followed, was to live the Gospel, the teaching and actions of Jesus, today in our world in a manner that would attract others to the call to serve. The rule of the Order of all Friars Conventual is to observe the Holy Gospel by living in obedience, service, and charity. The living Gospel breaths new life into the Church. The Franciscans were not founded for any other mission than to live out the Gospel as we have found that our ministry flows from our intentional prayer and fraternity. St. Francis said to the friars before he died: “I have done what is my part to do, May Christ show you yours.” Therefore, all Franciscans, no matter the Order, reach out to the poor and marginalized in our world, bringing the Good News of God’s Love in Christ Jesus, and we do the very same here at Saint Miriam through our community, our parish, and our school dedicated to the area’s impoverished children. Franciscans live their mission of rebuilding the house of God in today’s world in a variety of ways through serving the Catholic Church as missionaries, scholars, educators, artists, composers, chaplains, confessors, lawyers, laborers, cooks, social workers, campus chaplains, parish priests, school administrators, and advocates for the poor, the lost, and marginalized. Our priests serve as pastors and teachers here at the parish. 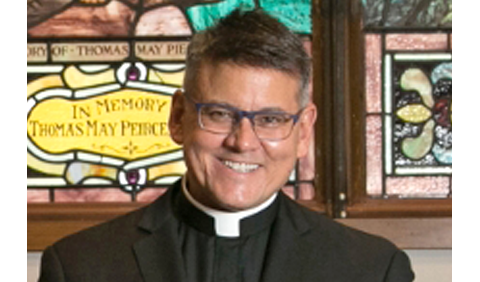 And, our primary Pastor, also serves as Bishop of the Diocese. The traditional outfit (or uniform) of a Franciscan is called a “habit”. Although the wearing of a habit is not an essential element of religious life, it seems to be important to many people today. The Franciscan habit is a simple long brown gown with a detached “capuch” (hood) and a white, knotted wool cord. The cord has three knots symbolizing the three religious vows of Poverty, Charity, and Obedience. Our order uses the traditional Conventual Habit, in brown fabric, to distinguish itself from other orders. In the winter of 1206, Francis Bernardone, a boy from Assisi, publicly renounced his own wealthy father so as to belong only to God. He abandoned the parties of his companions in order to help lepers, derelicts, and many of society’s rejects. Francis spent two years as a hermit and a restorer of three dilapidated churches in the area of Assisi: San Damiano, San Pietro, and Santa Maria degli Angeli. Over time, his intentional lifestyle initially attracted many followers and soon an 18 year old noble woman named Clare came to know of him and on Palm Sunday, 1212, she, too, fled her father’s house. Francis cut her hair as a sign of her consecration to God in the little chapel of the Portiuncula. Many other sisters then followed Clare and in about 1219, Clare and the Sisters received pontifical approval to live in cloistered poverty. Thus was born the Second Order of San Francis, which is called the Poor Ladies. Then, between 1210 and 1221, a major development of St. Francis occurs as he sends his companions throughout the world in order to preach the poor, humble and crucified Christ and to bring reconciliation and peace to everyone. The identity of Franciscans is found in the living out of the Gospel in the Church according to the model proposed and observed by Saint Francis of Assisi and preach it to every creature. Since then, The First Franciscan Order has undergone a profound restructuring. From it has arisen three major tendencies, which have subsequently given birth to juridically independent branches, but with the same common Rule of Life. The three major branches are: Friars Minor, Friars Minor Conventuals, and Friars Minor Capuchin. These three major families have developed as branches on a single giant tree, with very many works, missions, martyrs, religious, and merits, all following the model of one man, named Francis. Francis enjoyed a very rich, easy life as he grew in the city because of his father’s enormous wealth. From the beginning, everyone loved Francis as he was always happy and charming! And no one loved pleasure more than Francis and he had a quick wit, sang happily, delighted in fine clothes, and had some very showy displays. Francis was said to be handsome and courteous and soon became the prime favorite among the young nobles of Assisi! But, even at this time, Francis showed an instinctive sympathy to the poor and spent money generously to assist them. In 1205, the night before Francis set forth for a battle with the Pope’s militia, he had a strange dream in which he saw a vast hall hung with armour all marked with the Cross. “These,” said a voice, “are for you and your soldiers.” “I know I shall be a great prince,” exclaimed Francis exultingly, as he started for Apulia. But a second illness arrested his course at Spoleto and Francis had another dream in which the same voice bade him turn back to Assisi. He did so at once. Although Francis still joined in the festivities of his former comrades, his behavior showed that his heart was no longer with them. He began to thirst for a life of the spirit and to assist those whom he cared for deeply. After a short period of indecision, Francis began to seek in prayer in solitude for an answer and one day, while crossing the Umbrian plain on horseback, Francis unexpectedly drew near a leper. The sudden appearance of this repulsive man filled him with disgust and he instinctively retreated, but controlling his natural aversion, he dismounted his horse and embraced the man and gave him all the money he had. Franciscans are not monks. Even though prayer, contemplation, and even hermitages have an important part in our life, the Franciscans are never cloistered. Cloistered Religious, such as monks, live and work within the confines of a monastery. The friars, however, have many ministries, but always outside their friaries. However, even though we have ministries outside the friary, we are not a completely active either as we find that we are both contemplative and active. We endeavour to maintain a delicate balance between active ministry and prayer. Prayer revitalizes our ministry, while ministry informs our prayer. Franciscan Friars are normal people who have flawed personalities and failings like all around us. As Friars, we are normal, flawed people just trying to love God and each other the way Jesus showed in the Gospels. Friars are not saints, just “saints in the making” like you! If you visit a friary don’t expect every one to be overly pious or you will be sorely disappointed! The Franciscan history and spirituality is treasured as a gift from God. St. Francis himself was a strong individual and the first friars that gathered around him made quite a “motley crew”. It is still the same is today. There is an old saying: “If you’ve met one friar, you’ve met one friar.” The dynamics of each community differs according to the personalities that make up the community and according to the types of ministries that are carried out. Each person that enters the friars comes with a particular approach to God and service. Our friars do not always wear their habits, but do so when they come together as a sign of their fraternity and community. 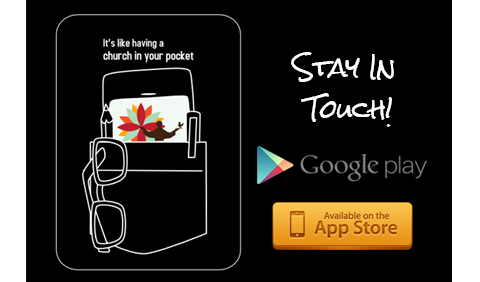 So, next time you meet one of us, say hello and see where God might be calling you! If you feel that you might be called to join us, please contact us to meet with a regional Vocation Director; just get in touch with us and we will respond and be happy to talk with you and answer any questions you may have, or feel free to visit us. After a time of initial contact with the friars, a candidate may find a true calling and all may then agree that God just might be directing them towards Franciscan life. After one submits some forms and documents (Baptismal and Confirmation certificates, an autobiography, medical examination, letters of reference, etc.) the preparation begins to enter Postulancy. 1. Postulancy: Normally a one to two year immersion into the Franciscan way of life: prayer, classes, outreach ministries to the poor. Postulancy is the first of the three stages of initial formation; it is a transitional stage between life in the world and religious life. It provides the candidate with a concrete experience of Franciscan life. Postulancy is a time of discernment during which the candidate lives with the friars to get a closer, “inside” view. The objective of Postulancy is to allow the candidate to discover if the Postulant fits into Franciscan life: his capacity for living in community (sharing, being responsible and getting along with others) and for prayer. It also permits the friars to discern the Postulant’s ability to live Franciscan life. 2. Incorporation or Novitiate: After the reception of the habit, the novice participates in an experience of “a-year-and-a-day” of deepening his understanding of his Franciscan vocation. The Novitiate is a privileged time of profound spiritual experience, sustained accompaniment, and periodical evaluations. This powerful experience is conducted by a Novice Master, who can count on the support of the community. Novitiate is a structured time in an environment of prayer and fraternal life. At the conclusion of the Novitiate, the novice professes “temporary vows” that are renewed annually for at least three years before applying for “solemn vows” as a lifetime commitment. Brotherhood: the brother pursues studies or attains experience appropriate for his focus of ministry. Twice per year, the community evaluates the simply professed friar and gives thanks to God for all that He has accomplished in and through that person. This is our unique Franciscan call to prayer. Are you up to the challenge? Join our Secular Franciscan Group! The Secular Franciscan Order, formerly known as the Third Order, (Latin: Ordo Franciscanus Saecularis, hence one often finds the abbreviation OFS) is a community of Catholic men and women who seek to pattern their lives after Christ in the spirit of St. Francis of Assisi. It was established by St. Francis of Assisi himself early in the thirteenth century. 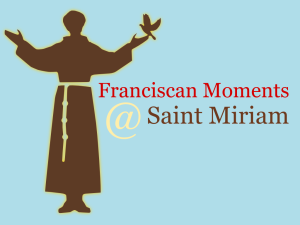 Saint Miriam is a Franciscan Old Catholic Parish and as such patterns its life and ministry after St. Francis. We are Conventual Franciscans (striving to live together in communities such as convents, or a friary.) However, our Secular Franciscans, live with family and perform their jobs out in the world, gathering in community on a regular basis. On the one hand, our fraternal living takes place within the whole world; on the other hand, our local home-based faith community is the world where we work out our salvation, learn to deepen our faith, assist in the salvation of our sisters and brothers through the work of our hands, feet, and intercessory prayers. For information on our Secular Franciscan Group, click here.